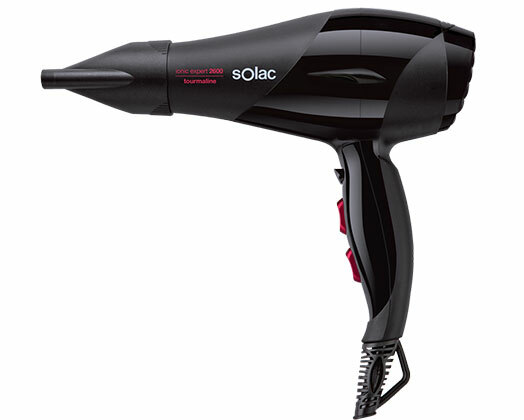 Home Products Solac Hair Dryer AC Motor Black 3 Heat Settings 2600W "Expert 2600 Tourmaline"
Solac Hair Dryer AC Motor Black 3 Heat Settings 2600W "Expert 2600 Tourmaline"
Solac presents their Expert 2600 Tourmaline hair dryer. With a 2600W AC motor and ionic function this hair dryer provides ultra-fast drying without frizz. Remove moisture from the hair and shape it like a professional. Equipped with a diffuser and 2 concentrator.